The BladeRoom system is designed to Uptime Institute Tier 3 or 4 specifications, providing 2N distribution paths for power to IT, and allowing maintenance to be carried out on any element of the data center power infrastructure while in live operation. 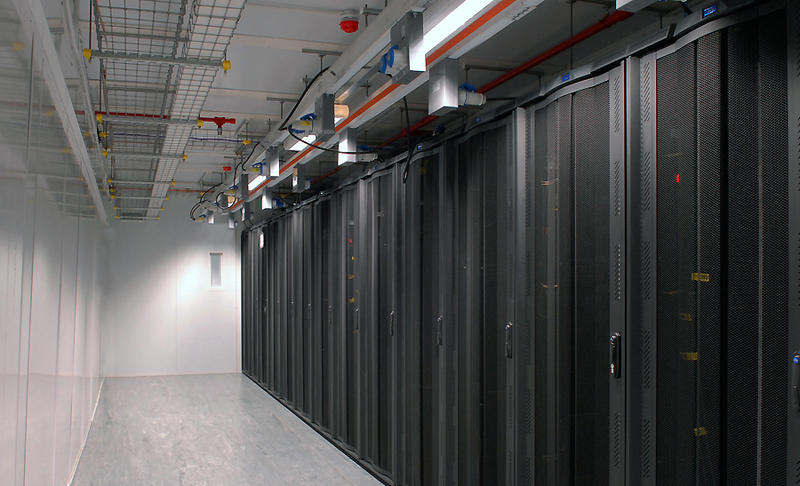 The mechanical and electrical design of the BladeRoom Data Center system was developed in conjunction with Uptime Institute Accredited Tier Designers. Sites developed using the BladeRoom system are already Tier 3 accredited by the Uptime Institute in Europe and Australia, with the same highly resilient design able to be rolled out across the world for rapidly deployed high-uptime, mission-critical facilities. BladeRooms are 'plug and play' data centers, designed with the internal electrical distribution within the data centers already installed in the factory. This is significant, meaning BladeRoom Data Centers are not 'white space,' but cabinet-ready facilities with the busbar distribution already in place. This means less time and cost required to make the data center ready for IT installation compared to a traditional build. UPS- and generator-backed supplies from the primary electrical infrastructure can enter the data center power management zone through a dedicated service hatch in the floor, meaning all services can be securely buried underground in ducts with nothing left exposed. 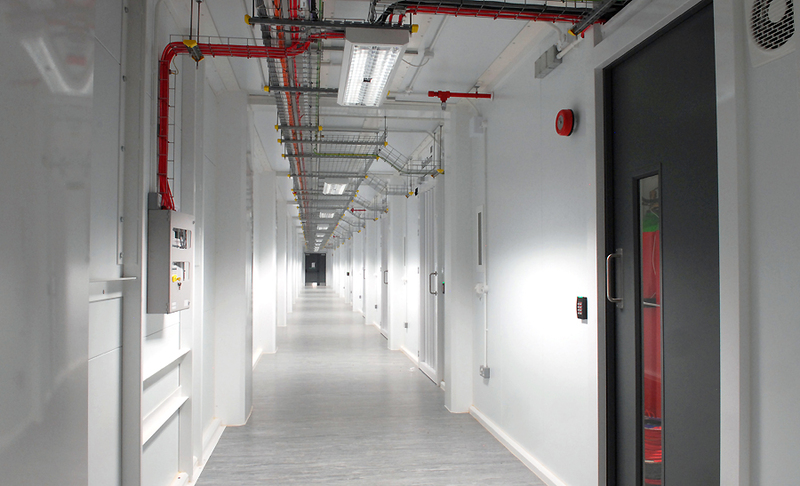 Alternatively, if the data center is inside an existing building, mains services can be brought in at high level through dedicated fireproof service ways. 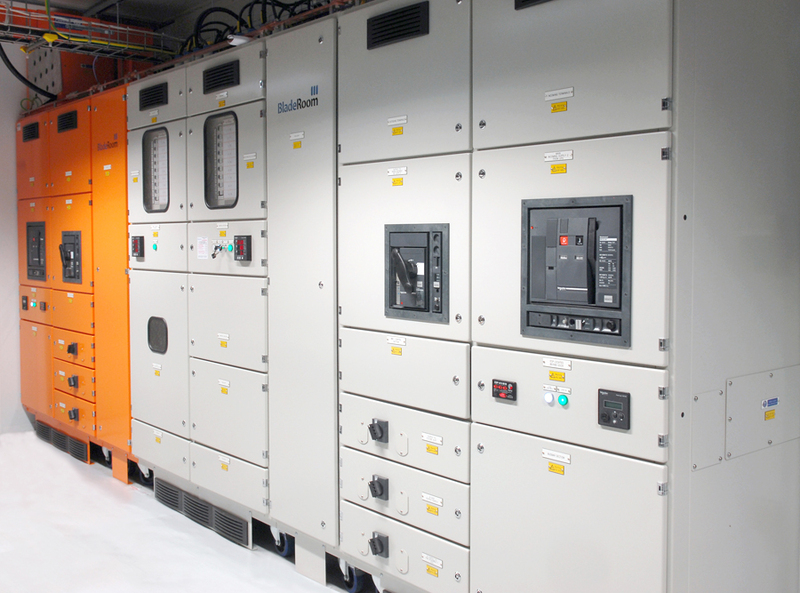 Each data center power management zone contains two Form 4 Type 6 switchboards into which the A and B UPS supplies are terminated. Dual busbars are provided along the length of the hot zone with tap-off units to each of the A and B busbars located above the rack rows. The A and B busbars above the rack rows accept tap-off units at any point along their length that connect to rack-mounted power strips. This allows complete flexibility of IT power across the racks, with low-, medium-, and high-density IT racks able to be located anywhere in each rack row. If the BladeRoom facility is delivered to site with racks already fitted, tap-off units and rack-mounted power strips can be installed and commissioned in the assembly facility making racks powered and IT-ready upon arrival to site. Lighting and small power outlets as well as containment are all provided. The A and B busbars above the rack rows accept tap-off units at any point along their length that connect to rack-mounted power strips. This allows complete flexibility of IT power across the racks, with low-, medium- and high-density IT racks able to be located anywhere in each rack row. If the BladeRoom facility is delivered to site with racks already fitted, tap-off units and rack-mounted power strips can be installed and commissioned in the assembly facility, making racks powered and IT-ready upon arrival to site. Lighting and small power outlets as well as containment are all provided.